Product prices and availability are accurate as of 2019-04-21 12:59:27 UTC and are subject to change. Any price and availability information displayed on http://www.amazon.com/ at the time of purchase will apply to the purchase of this product. 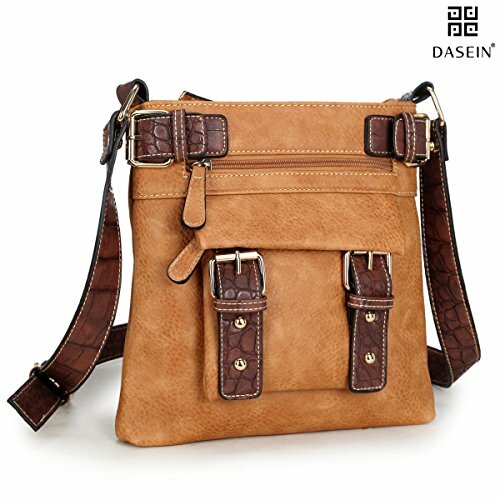 This delightfully soft, trendy messenger bag is a lightweight addition to your fast paced day!. Combining the retro and modern fashion element, this purse will surely become your favorite gem! We offer free standard shipping in the 48 contiguous United States. 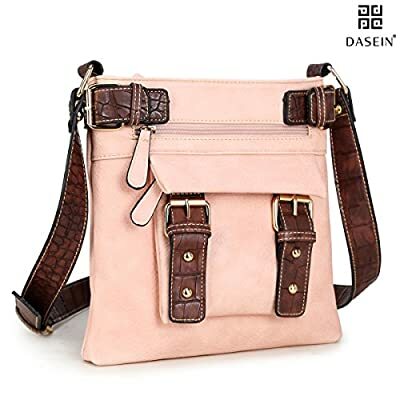 High quality washed vegan leather; 10"W x 10.5"H x 1"D; Adjustable shoulder strap: 46'' Crafted with soft washed faux leather and trimmed with croc-designed belt turns this crossbody purse to be a vintage look. Easy to carry along for your travel, vacation or school Top zipper closure in the middle compartment; Two magnetic secure snap in the front and back; Durable gold-tone hardware; Adjustable croco-design shoulder strap; Buckle design on both upper side edges of the bag. 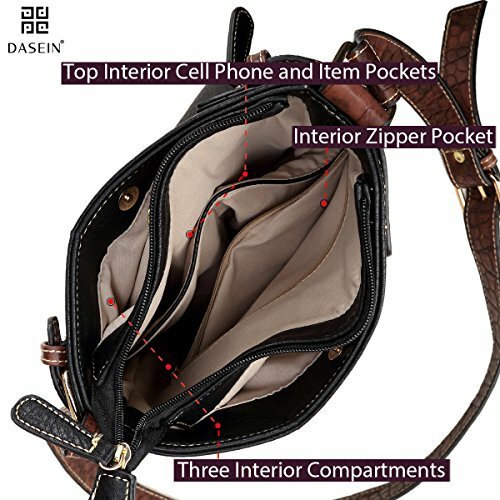 Tons of Pocket&Storage: 3 separate compartments; Front multi-functional buckle design zipper pockets; One back exterior zipper pocket; One interior top open pouches and one interior back wall zipper pocket.